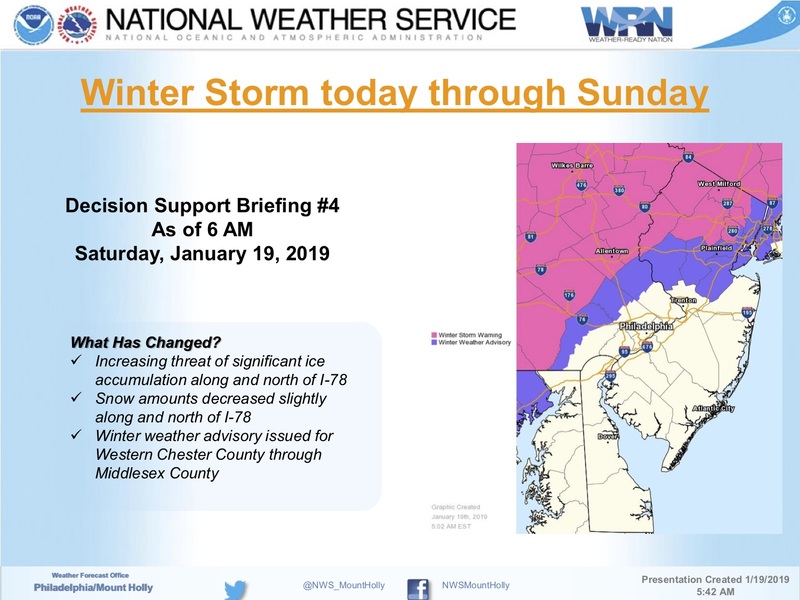 The National Weather Service has issued a Coastal Flood Advisory for the Borough for Sunday morning, January 20th, from 5am until 11am. The Advisory means that minor to potentially spotty moderate coastal flooding could occur at time of high tide, at 6:53am Sunday. Exercise caution while driving. 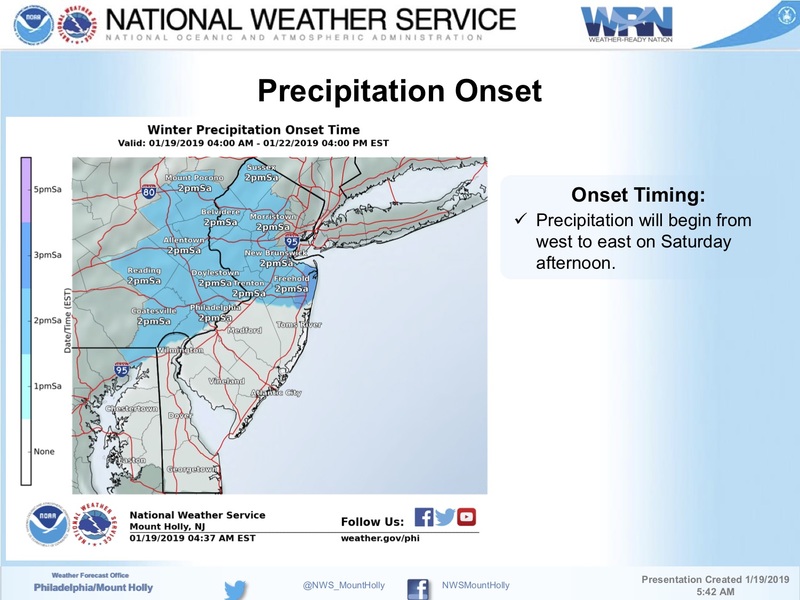 Be aware that even though this is a rain event for the southern New Jersey coastal region, water in the streets and on the sidewalks is expected to freeze Sunday night through Monday as temperatures will drop from the upper 40s to the low teens during the overnight hours. 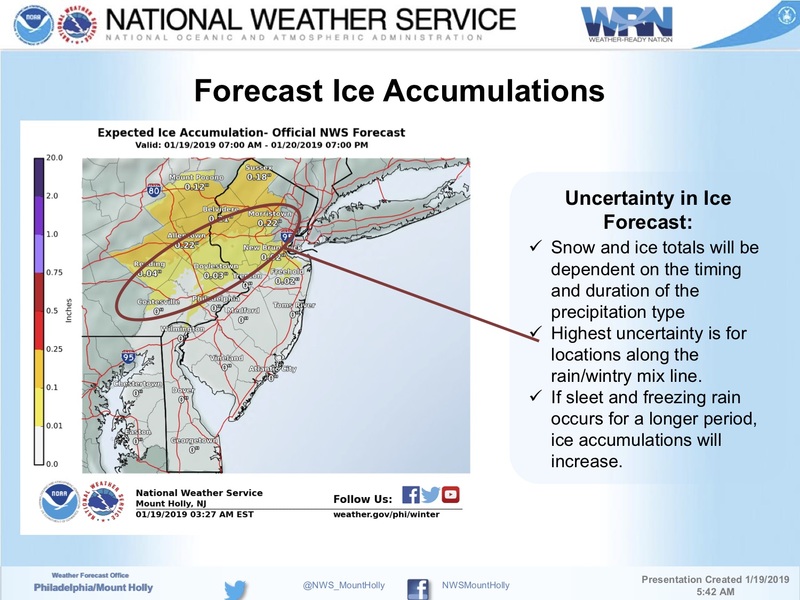 Sub freezing temperatures are expected through the day Monday. 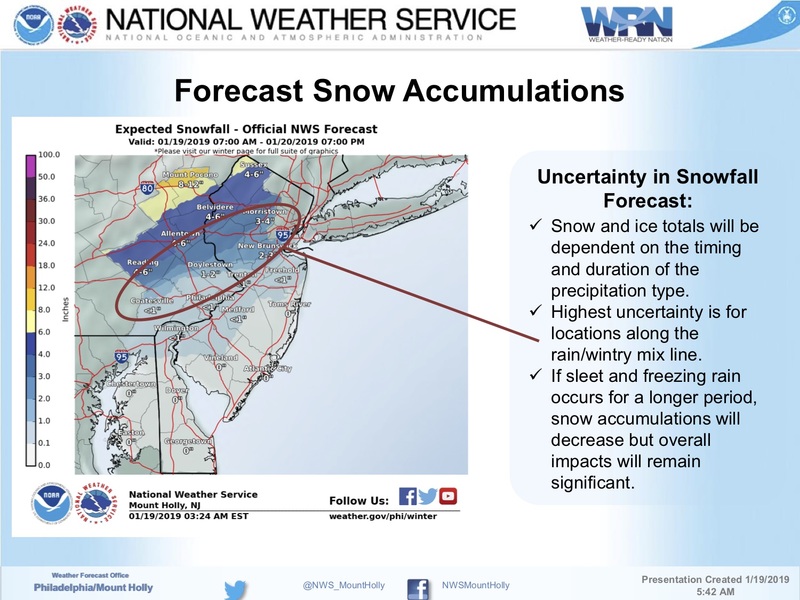 Continue to follow the forecast on traditional media outlets. 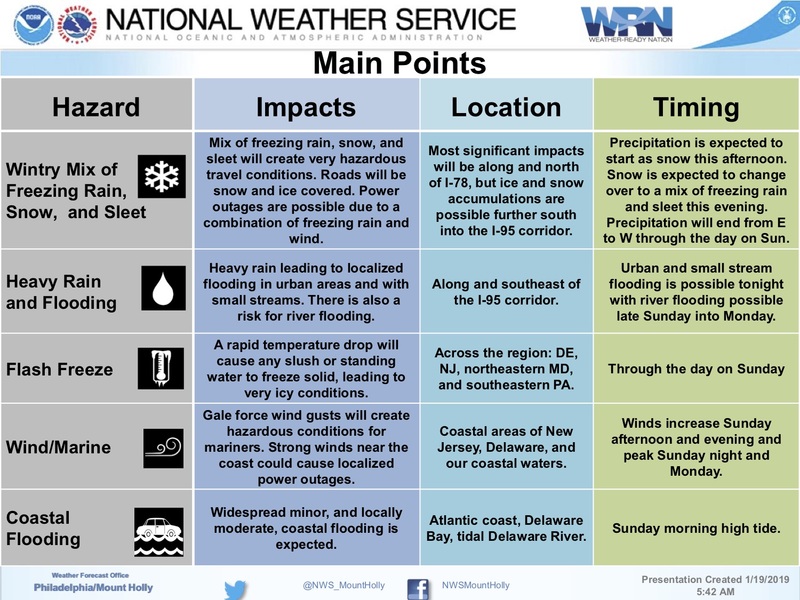 Here is the text of the Coastal Flood Advisory issued by the National Weather Service, along with a graphical discussion of the impacts for the New Jersey, Pennsylvania, and New York areas. 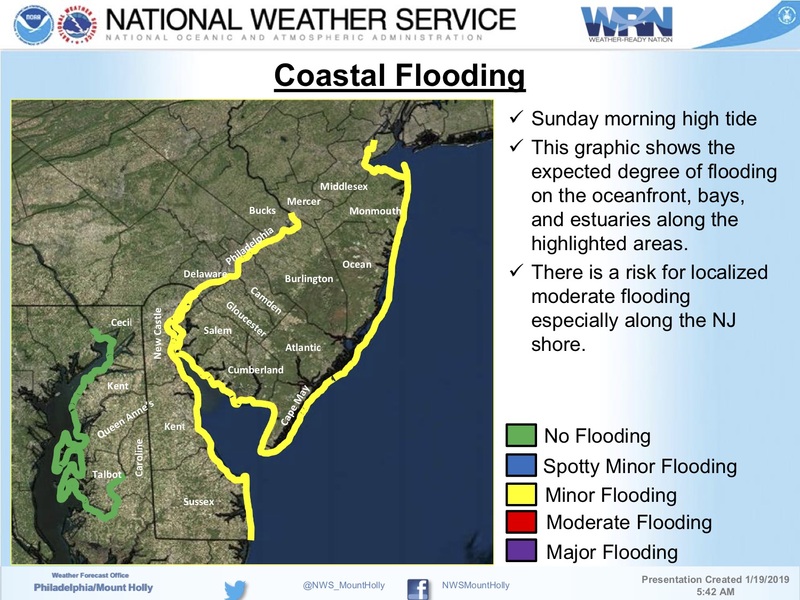 COASTAL FLOOD ADVISORY IN EFFECT FROM 5 AM TO 11 AM EST SUNDAY… The National Weather Service in Mount Holly has issued a Coastal Flood Advisory, which is in effect from 5 AM to 11 AM EST Sunday. 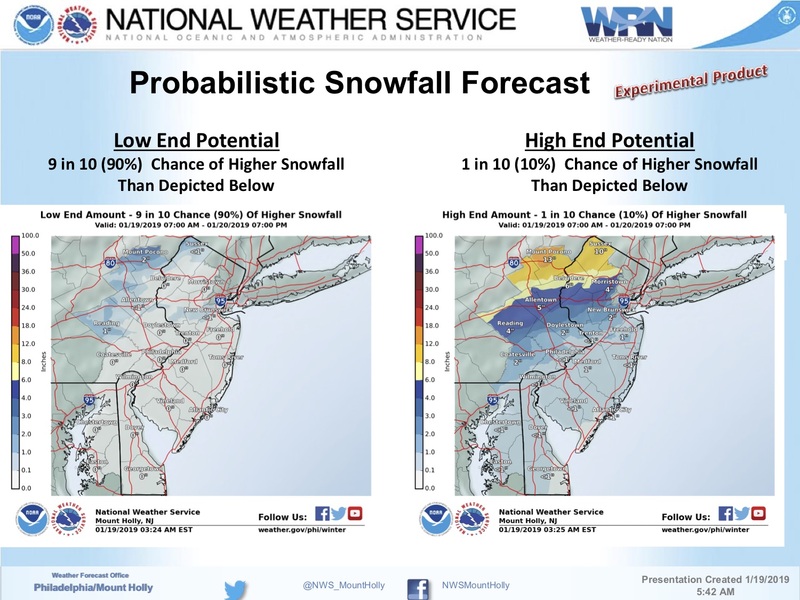 * LOCATIONS…Coastal areas of southern New Jersey and Delaware, including adjacent portions of the Delaware Bay coast in Cape May and Sussex Counties. 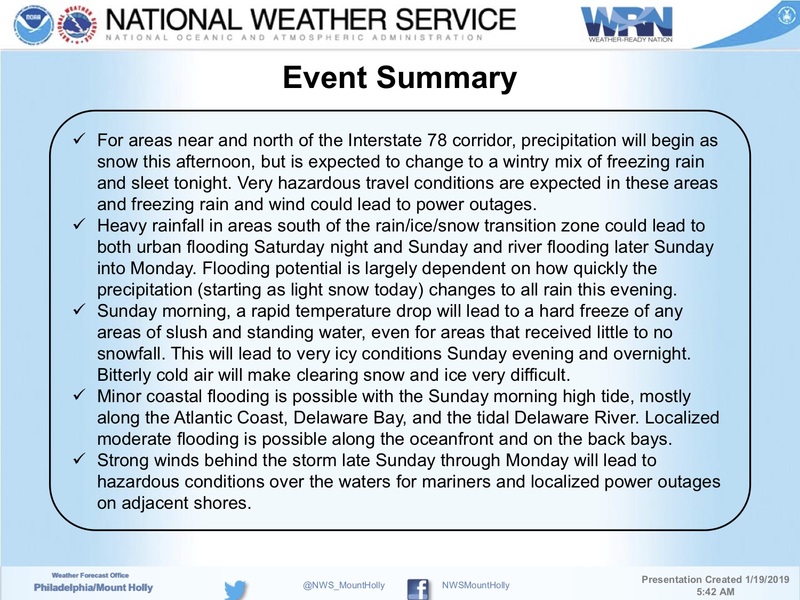 * TIMING…Flooding will occur for a few hours around the time of high tide Sunday morning. High tide on the New Jersey and Delaware oceanfront is between 6:00 AM and 7:00 AM. High tide on the back bays and along Delaware Bay occurs later than the high tide on the oceanfront. * COASTAL FLOOD IMPACTS…Up to one foot of saltwater inundation above ground level is possible in low-lying areas near shorelines and tidal waterways. 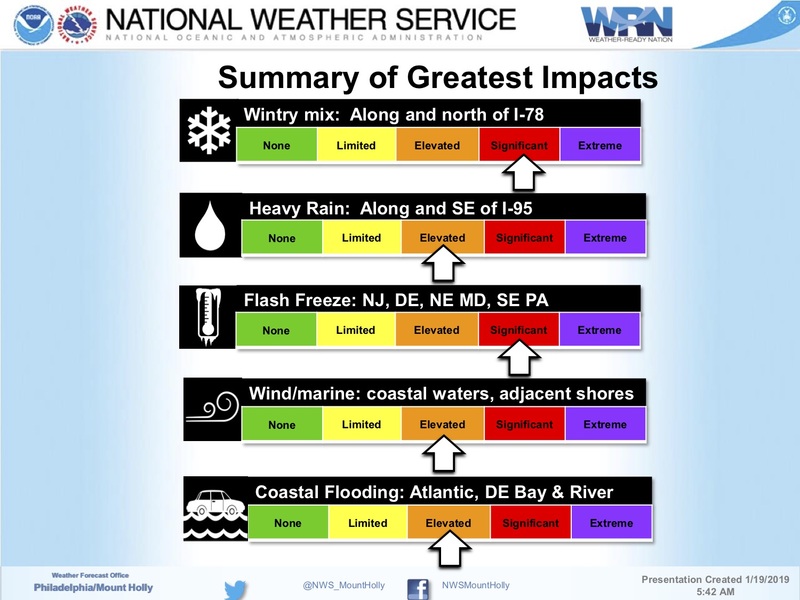 In Cape May County, minor roadway flooding is possible in Wildwood, Cape May, Avalon, and other locations along the shore and the Delaware Bay shoreline. Rainfall may exacerbate tidal levels, leading to more significant impacts. ..Wave heights on the ocean waters off the coast are forecast to be 5 to 9 feet. Wave heights on Delaware Bay are forecast to be 2 to 5 feet.